I am just back from the four-day “Toward a Science of Consciousness” conference in Tucson. I heard 32 papers on a wide variety of topics and I’m trying to tell myself what I’ve learned about consciousness. Today, I’ll focus on the most fundamental of the difficulties in this area, known to afficionados as “the Hard Problem of consciousness”. The following four statements explain the problem in a way that leaves open to many different kinds of response to it. 1. Data concerning our sensations and feelings correlate with data concerning the firings of neurons in our brains. There is overwhelming evidence for this statement. Strokes in the back of the head, or severe injuries there, cause loss of vision. The extent of the area in which one can no longer see is well correlated with the extent of the damage. Pin pricks normally hurt; but if injury or drugs prevent the neural signals they cause from reaching the brain, you won’t feel a thing. Direct electrical stimulation of some brain locations produces experiences. And so on. 2. What neurons do is to fire or not fire. Neurons can fire faster or slower. There can be bursts of rapid firing, separated by intervals of relative quiescence, and there can be patterns of such bursts. With 100 billion or so neurons, that allows an enormous range of possible combinations of neural activities. 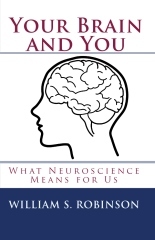 We know of no other aspects of neural activity that are relevant to what we are experiencing. 3. We experience a large number of qualities – the colors, the tastes, the smells, the sounds, feelings like warmth, itchiness, nausea, and pain; and feelings such as jealousy, anger, joy, and remorse. 4. The qualities noted in 3. seem quite different from the neural firing patterns in 2, and from any complex physical property. The Hard Problem is this: What is the relation between our experiences and their qualities, and our neural firing patterns? How can we explain why 1. is true? Physicalism. Everything is physical. Experiences are the same things as neural events of some particular kind. (It is not claimed that we know what particular kind of neural event is the same as any particular kind of experience.) The explanation of 1. is that the data concerning experiences and neural events are correlated, since experiences and neural events are just the same thing. It’s like the explanation of why accurate data about Samuel Clemens’ whereabouts would be perfectly correlated with accurate data about Mark Twain’s whereabouts. Dualism. Experiences are not identical to neural events. 1. is true either because neural events cause experiences, or because some events have both neural properties and other properties that cannot be discovered by the methods of science. Today, the dominant view (about two to one, by my unscientific estimate) is physicalism. The reason is suggested by my descriptions. Dualists evidently have to say how neural events can cause experiences, or explain the relation between the properties known to science and the properties not known to science. Physicalists have no such task: if there is just one thing under two names, there is no “relation” or “connection” to be explained. But physicalism has another task, namely, to explain how 4. can be true. According to physicalism, blueness = some complex physical property X, the feeling of nausea = some complex physical property Y, and so on. How could these pairs of items even seem to be different, if they were really just the same? Of course, it will not do to say that blue is the way a physical property X appears to us, the feeling of nausea is the way a physical property Y appears to us, and so on. That would just introduce ways things appear. But then we would just have to ask how physical properties are related to their ways of appearing. They do not appear as what (according to physicalism) they really are; i.e., they do not appear as complex physical properties. So how, according to physicalism, could it happen that X can appear as blue, but not as complex physical property X, if blue = X? The new developments reported at the conference that were of most interest to me were attempts by physicalists of ways of dealing with this last question. Here are brief summaries of two key ideas. We understand how these features could be instantiated in a robot; so we understand how we could make a robot – a purely physical thing – that feels. B. What is in the world is all physical. Experienced qualities like blue and the feeling of nausea are not in the world – they are its “form”, not its “content”. So, there is no question of “relating” experienced qualities to what is in the world – in fact, it is misleading to speak of “experienced qualities” at all, since that phrase suggests (falsely, on this view) they are something that is in the world. It’s time for disclosure: I am a dualist. Not surprisingly, I didn’t find either of these efforts to offer a good solution to what I see as the key problem for physicalism. I’ve done my best to represent A. and B. fairly, but you should, of course, remember that what you’re getting here is what a dualist has been able to make of physicalists’ efforts. This entry was posted on Wednesday, April 18th, 2012 at 5:37 pm and is filed under consciousness, Sensations. You can follow any responses to this entry through the RSS 2.0 feed. You can leave a response, or trackback from your own site. 4 Responses to What’s New in Consciousness? Boils down to subscribing to reductionist presumptions or not. Either firing neurons are all and mind is epiphenomenon— or not. objective scheme of firing neurons is entirely subjective. This is why the reductionist must start from the beginning with the presumption that all mind and observation is nothing but firing neurons—she must eliminate the subjective to make the “objective” firing neurons primary, otherwise personal experience seems just as primary as the firing neurons are, since there are no neurons, in effect, without our subjective view and notions of neurons. The reductionist is trapped once she admits that there is such a thing as mind as separate from neurons firing —and so the farthest reductionist position is to hold that there is no such thing as mind at all. Once you say mind does exist then it is much harder to make firing neurons primary–since apparently subjectivity is required to know such. Really, the whole issue, from my view– is a species of the mind/body problem. Why not just say neither view is necessary, only optional? Once you divide mind from neurons and yet make them dependent upon one another–then round and round you go. There are some physicalists who seem to deny outright that there are experiences (at any rate, as ordinarily conceived). But it’s more common for physicalists to allow that there are experiences, but claim that they and their properties are identical with physical events and their properties. These physicalists do not agree that they are *eliminating* experience, observation, or the subjective. I think physicalists have a hard time making out their identity claim, and I don’t think that A. and B. in the post can be made to work. But one does have to take (most) physicalists at their word, that they are not denying experiences. Of course, this makes arguments more complicated. I think we should avoid saying that neural firing is subjective. Without our experiences, we might not *know* that neural firings exist. But I think that dinosaurs probably had both experiences and neural firings even though I don’t think they knew that they had either one. To generalize: I don’t think that our knowing something about X makes X subjective. Our knowing something is a fact about us, but it doesn’t follow that what is known by us has to be a fact about us. You’re right, though, that the issue between physicalists and dualists is the mind body problem in its contemporary form. Perhaps I too am going “round and round” – but I do think that experiences are different from neural events, and also that experiences depend on neural events. Yes, red has many shades, and which one you think of if someone says “think of something red” may depend on whether it’s the Christmas season or what kind of apples you like. But experiences you have when you look at something are driven by the light entering your eyes, which depends on the lighting conditions and what you’re looking at. If you look twice at the same red thing, in the same lighting conditions, and your visual system is normal, you’ll have the same red experience both times. And it’s immensely plausible that there is something common to the pattern of your neural firings on both occasions. It’s also immensely plausible that if you look at two things that are of a similar shade of red (in similar lighting conditions), there will be something about the patterns of your neural responses that will be similar. And if you think of S. Claus’s suit on two different occasions, you’d likely have some neural activity that’s quite similar.